Last Chance for Gear Up 1040 Before 2019! NSA’s Speaker of the Year, Tim Sundstrom will be presenting! Gear Up 1040 will prepare you for your clients before tax season really kicks in. The 1040 seminar will cover key points for preparing the 1040, including Tax Cuts and Jobs Act individual tax reform provisions. 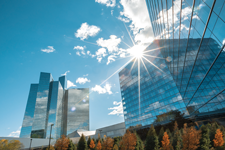 You will be brought up to date on the new guidelines for qualified business income (Code Sec. 199A) deductions, modifications to many Schedule A itemized deductions, and the impact of the new marginal tax rate structure on taxpayers. The course will also address trends in LLC member self-employment taxation, tackle tax challenges facing special industries including shared economy businesses and marijuana dispensaries and explore tax planning opportunities in the wake of the new tax bill. It is a must-not-miss education opportunity. No refunds will be granted after November 15, 2018. For more information regarding refund, complaint and/or program cancellation policies, please contact our offices at (800) 966-6679. NSA is approved by NASBA, the IRS, ACAT, and CTEC as a provider of continuing professional education. The National Society of Accountants is registered with the National Association of State Boards of Accountancy (NASBA) as a sponsor of continuing professional education on the National Registry of CPE Sponsors. State boards of accountancy have final authority on the acceptance of individual courses for CPE credit. 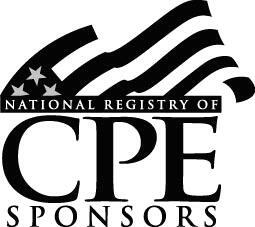 Complaints regarding registered sponsors may be submitted to the National Registry of CPE Sponsors through its website: www.learningmaket.org. NSA has been approved by the California Tax Education Council to offer the above courses to go towards the annual “continuing education” requirement imposed by the state of California. A listing of additional requirements to register as a tax preparer may be obtained by contacting CTEC at P.O. Box 2890, Sacramento, CA, 95812-2890, by phone at (877) 850-2832, or on the Internet at www.ctec.com. For more information about Gear Up seminars, visit CheckPoint Learning.